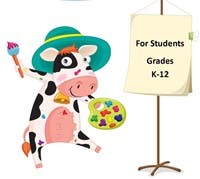 MIAMI LAKES, FL, October 16, 2014 - The Graham Companies would like to welcome the children of Miami Lakes, as well as students from our area schools to participate in our 2nd annual art contest where up to 26 winners’ artwork will be showcased down Main Street on banners. This year’s theme is “My Home, My Community!” Our goal is to have the children from our community create a piece of artwork that will be shared with all residents and visitors of Miami Lakes and represent why our community is so special. This project enforces community and self-pride to the future leaders of our community. All artwork is to be submitted for judging on or by December 12, 2014. Winners will be notified by mail the week of January 12, 2015 and will be printed in the February 7, 2015 edition of The Miami Laker. Artwork will be printed on banners which will be hung along Main Street and will be on display through May 2015. Please visit the Banner Contest page for more information.